STULZ airflow system solutions are employed directly in front of the server rack, under the raised floor. They utilize the same air conduction system from the air-conditioners to the racks and are controlled exactly in line with cooling requirements. Fast, simple and reliable. 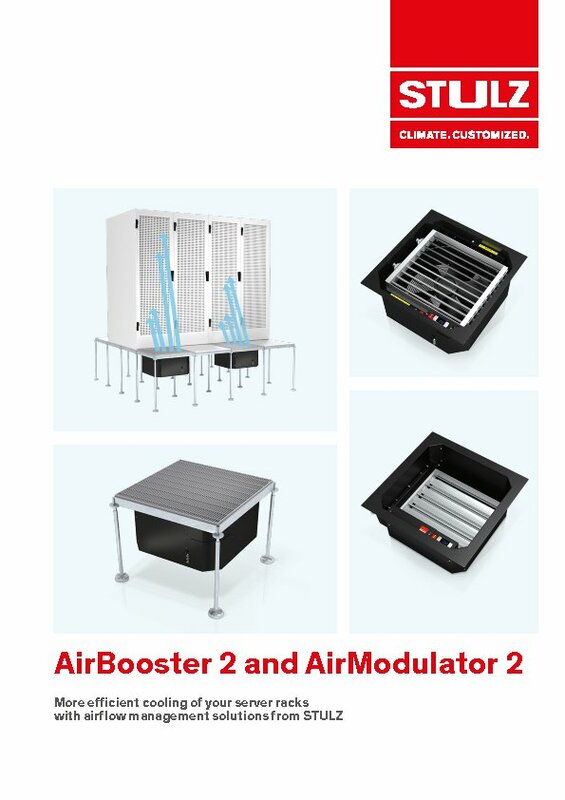 The AirModulator has louvered dampers that are fitted under the floor panel and can be precisely positioned via a servo motor. This provides smart, efficient air control from your raised floor, using variable apertures to release only the amount of air actually required by the racks. The fins are precisely positioned to target locations that require increased cooling. This concentrated airflow goes to work on the targeted areas, reducing overall hot spot problems by also ensuring an adequate supply of cold air is still supplied to other areas.